Global enterprise businesses are connecting via the cloud, furthering the importance of meeting the needs of those that are migrating to the cloud. To be successful in any endeavor experts must be enlisted, and so Unitas Global has added a veteran of the industry as their independent board director. Unitas Global, a leading enterprise hybrid cloud solution provider, announces today that Jarrett Appleby has been named an independent board director. Appleby is a technology and IT industry veteran with more than 30 years of experience, including C-suite roles in marketing, operations and strategy. In this role, Appleby will work alongside fellow board members to establish policies for corporate management and advise on strategic planning. 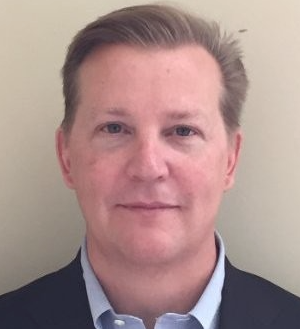 Patrick Shutt, CEO of Unitas Global said Unitas Global is honored to welcome Jarrett Appleby to their board of directors as they continue to strengthen their position in the rapidly growing cloud market. With his years of experience in the IT industry, Jarrett brings a track record of success, achieving significant revenue growth and operational efficiencies for leading data center providers and IT organizations around the world. They look forward to receiving his valuable input regarding Unitas Global’s business strategies as they strive to expand their global customer base. Appleby was Chief Operating Officer of Digital Realty, responsible for corporate strategy and global operations, including data center, technical and customer operations, and global design and construction delivery. He has also served as Chief Operating Officer of CoreSite Realty where he led the company's sales and marketing teams, as well as operations, engineering and facilities management across eight markets in the U.S. In addition, Appleby was Chief Marketing Officer of Equinix, and Chief Strategy and Marketing Officer at both Reliance Globalcom and FLAG Telecom. Currently, he is CEO of the Appleby Strategy Group, LLC, a CEO and board advisory business for digital infrastructure that works with leading private equity and technology companies interested in accelerating growth through investment. Appleby said he's excited for the opportunity to work with an innovative company that truly understands and appreciates the value of combining infrastructure with automation and managed services to meet the needs of enterprises migrating to the cloud. In this new role, he looks forward to leveraging his extensive industry experience to provide the Unitas Global team with strategic insight and a fresh perspective on effective growth strategies. Paul Weinstein, General Partner of Azure Capital Partners and Chairman of the Board at Unitas Global said Jarrett has worked with some of the largest and most well-known data center providers in the world, helping them to plan and execute strategies for increased revenue, as well as long-term growth and success. It’s with great pleasure that they welcome Jarrett to the board of directors, and he personally looks forward to working with him to help drive continued growth and expansion, and to further solidify Unitas Global’s industry-leading position within the global cloud market. Unitas Global is attending ITW 2018 to meet with global carriers, and data center and colocation providers to expand its partner reach and enable networks to meet the needs of global enterprise businesses connecting to the cloud.